John Heathcote began his notable football career at Penguin in north-west Tasmania before being recruited to form a ‘mosquito fleet’ of players at Ulverstone in the NWFU under Tasmanian football icon, Arthur Hodgson. A rover with a great capacity to kick goals, he was an instrumental player for the Robins in the mid-1950s as they secured three consecutive regional premierships and the first state title for a north-west club. Carlton swooped on the short and stocky rover who had been developed by their own 1950 best and fairest winner, Hodgson, as they went about creating a group of dangerous small players suitable to challenge in the VFL. 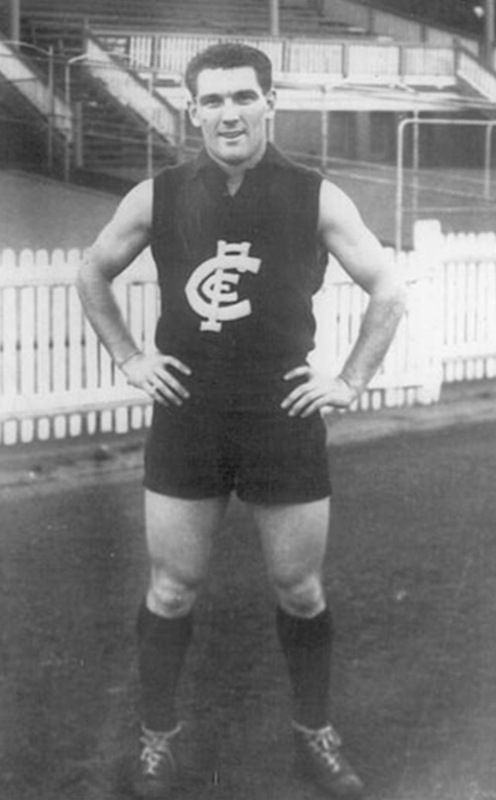 Heathcote debuted early in 1958 and used his renowned pace to great effect, ultimately leading the Blues goal kicking in an era of poor ground conditions and low scoring. On his return to Tasmania in 1963 Heathcote captained and coached the Burnie Tigers to state premiership honours.